Fusion 360 is one of the most popular 3D modeling software out there, not only is it free for students and educators, but unlike many other tools Fusion 360 connects CAD, CAM, and CAE in a single cloud-based platform that works on both Mac and PC. In other words, you can create your 3D design in Fusion 360, and use it to develop actual products in real life. If you have a 3D printer for example, you can use Fusion 360 to design your prints. If you’re wondering which laptop will be best for Fusion 360 software, you have landed on the right page because we have compiled a list of some of the best laptops for Fusion 360. You might think that you’ll need a very powerful laptop to run a 3D modeling software like Fusion 360. Which is actually true to some extent, but it does not mean that you must buy an expensive laptop in order to use Fusion 360, because even an entry level machine can do the job as long as you keep your projects simple. And in our list, we have included some of the best entry level laptops for Fusion 360, as well as mid range and high end ones. Fusion 360 and other CAD software are still single core processes. This means that the software performance does not increase if you have a processor with multiple cores, and instead only relies on the clock speed of the processor (rather than the number of cores). This means that Fusion 360 software will perform better on a laptop with a 3.5 GHz Core i5 processor than on a laptop with a 2.4 GHz multicore i7 processor. On the other hand, Computer Aided manufacturing or CAM requires multiple cores and higher clock speeds, so keep that in mind too if you will be using the laptop for CAM software too. Although SSDs are slowly replacing traditional hard drives, the truth is that they are still relatively expensive. A Solid State Drive provides the best data reading and writing speeds for CAD/CAM software, and overall, makes your laptop more responsive. To know more about Solid state drives and how they compare to traditional hard drives, click here. For Fusion 360 and CAD software, a minimum of 8GB of RAM is recommended. Budget will often dictate the amount of RAM your laptop has, but when shopping for a new laptop, make sure to check if it comes with a free RAM slot in case you want to add more RAM later. It may seem odd a little bit but screen size does matter. Fusion 360 is a CAD software and there are many command options in the main window. Smaller screen sizes have less workspace, these command options could become difficult to find and sometimes due to the smaller size you could click the wrong option. The workspace area in the main window, where 3D models are created, will seem smaller on a small screen. You could miss various little details of the design because of the smaller screen. So it is highly recommended that you should choose a laptop with a large screen. A 15.6-inch is usually a great choice. Another important aspect you should pay attention to is the screen resolution. You might think that more pixels means better performance, but it’s not exactly the case when buying a laptop for Fusion 360. Not to mention that high resolution displays consume more power and thus reduce the battery life of your laptop. Also, Fusion 360 cannot benefit from a high resolution screen such as 4K. The software will usually load in a reduced resolution mode, which won’t add anything to the experience. Besides, if the main purpose of the laptop is to work on a CAD software like Fusion 360, high resolution is not compulsory anyway. However, the best-recommended resolution is Full HD which is perfect for this type of work. Anything less than Full HD resolution will not be a good choice. You don’t necessarily need a strong graphics card to run Fusion 360, if you’re only planning to use it for simple projects. In fact, even a budget laptop with integrated graphics can run a CAD software like Fusion 360. But if you are not a beginner, and as soon as you start working on complex designs and projects, you’ll realize how important a dedicated graphics card is. When it comes to Fusion 360 and other CAD software by Autodesk, it’s compatible with both the gaming (GeForce & Radeon) and professional (Quadro & Radeon Pro WX/FirePro) graphics cards. For home users, a gaming grade card is usually the best option, while professional end users should consider a professional card such as the Nvidia Quadro. When looking for a laptop for Fusion 360 with dedicated graphics, consider getting one with at least an NVidia GTX 1050. The GTX is a relatively affordable card, and it performs very well with Fusion 360; however, you can also get a higher end card such as the GTX 1060 or 1070, especially if you will need to use the laptop for other programs. When it comes to providing great value for the money, the Acer Aspire E 15 E5-576G-5762 is unbeatable. The E15 is one of the few budget laptops under 600$ capable of running Fusion 360, which makes it a great option for beginners and students. The Aspire E15 offers a great bang for the bucks: it comes with an 8th generation I5 processor, 8GB of RAM, a 256GB solid state drive and a dedicated GeForce MX150, which is an interesting entry level graphics card. This is an all purpose laptop that is also capable of running design programs such as Fusion 360. And if you are asking if you can run Fusion 360 decently on a laptop with a Geforce MX150? The answer is YES. Don’t expect the software to perform as well as with a higher end card though, especially when doing 3D work. The fact that the Aspire E 15 comes with solid state drive and 8GB of RAM will also help the overall performance. And in case you need to add more RAM or storage space, the E15 is one of the few laptops that offer decent upgradability: you can add a second hard drive (Acer also provides a kit for that), and you can upgrade the RAM up to 32GB. Battery life is another thing that will surprise you in the Aspire E15, while Acer claims it can last 12 hours, you can expect an average of 8 hours in real world use. Which is excellent at this price range! If you’re on a budget and need an affordable laptop for Fusion 360 and gaming, then the HP Pavilion 15-cx0056wm should be your go-to choice. This laptop comes with an 8th generation Core i5 8300H processor, 8GB of Ram, a 1TB hard drive, and a dedicated Nvidia GTX 1050Ti card. The Pavilion 15-cx0056wm guarantees a solid performance when it comes to playing games, and it is capable of running most of the popular titles at medium to high settings with no noticeable lags. 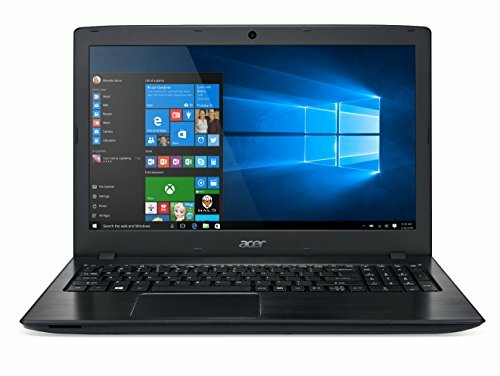 It is also a very good budget laptop for CAD software, thanks to 8th generation processor, and the dedicated graphics. The only you might want to add is more probably more RAM, since this laptops comes with 8GB, but there is still a free RAM slot. The build quality is also quite good considering the price and the specs of the laptop. And to be fairly honest, the design of this Pavilion 15 is better than most of the higher end gaming machines out there, with their flashy red trims and aggressive lines. The Pavillion 15 is a good choice if you’re looking for a laptop you can carry to the office, without everyone knowing it’s a gaming laptop. 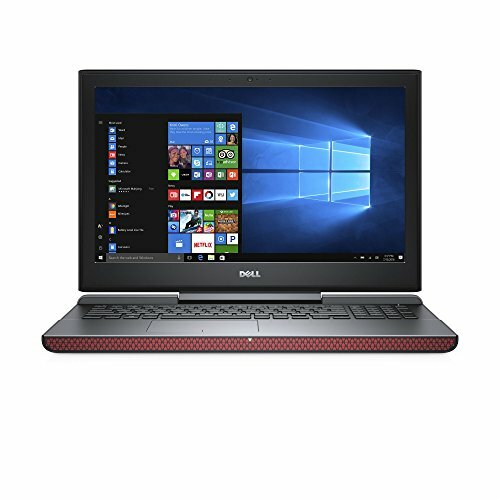 The Dell Inspiron 15 7567 is another great choice, if you’re looking for an affordable gaming laptop. The Inspiron 15 7567 comes with a 7 generation Intel Core i5 7300HQ, 8GB of RAM, a 256GB SSD, and a dedicated Nvidia GTX 1050Ti graphics card. When it comes to gaming, the Inspiron 15 7567 ensures a good performance, with frame rates between 40 and 60 FPS on most titles, thanks to the GTX 1050Ti. The Dell Inspiron 15 also offers plenty of ports, and the build quality feels very solid. The design was also successful in my opinion, with the red trims around the grills and air vents of the laptop, which adds a nice touch without being over the top. 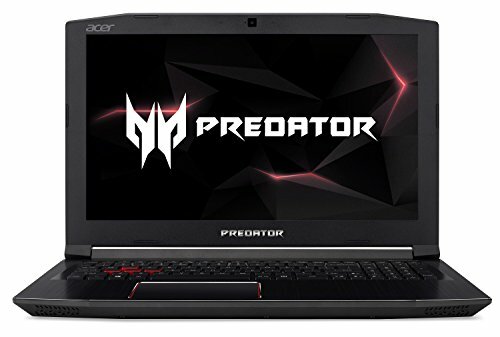 The Acer Predator Helios 300 PH315-51-78NP is a very popular choice among gamers and users looking for a powerful laptop that can handle heavy tasks such as video editing and CAD software. And what makes the Predator Helios 300 a great laptop for Fusion is not only its insane performance, but also because it’s still relatively affordable as far as gaming laptops go. The Helios 300 comes with an 8th Generation Intel Core i7-8750H, 16GB of RAM, a 256GB solid state drive, and a dedicated Nvidia GTX 1060 graphics card. It also features a gorgeous 15,6 inch Full HD IPS display, that produces sharp and accurate colors. The screen also has a 144Hz refresh rate, which is a great addition for a gaming laptop. The build quality is also very good, and the laptop is relatively portable, as far as gaming laptops go, with a weight of 5.51Lbs. 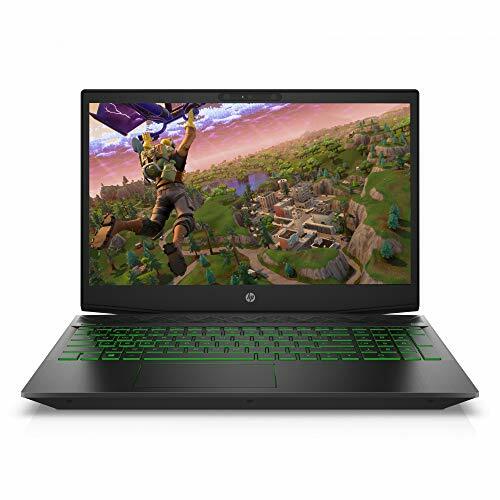 However, the typical aggressive gaming design might not be to everyone’s style, and also with a battery life of just 7 hours, the Helios 300 isn’t the best choice if you’re long for a laptop that you can carry around to work or school. Because they were designed primarily for home use, most gaming laptops tend to be bulky and heavy. But for users who want a powerful gaming laptop that is still lightweight and easy to carry, there aren’t many options out there. And that’s exactly why we included the MSI GS65 Stealth in our list. 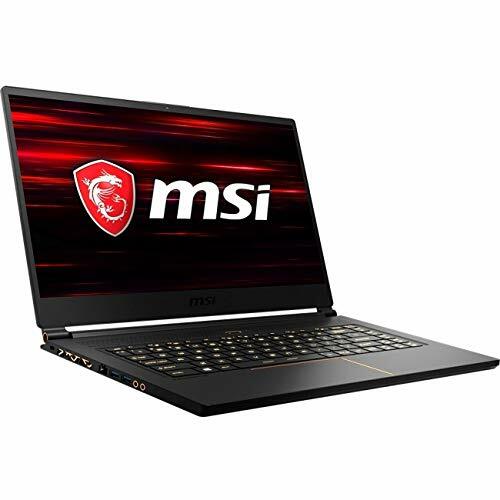 The GS65 Stealth is the perfect mix between portability and performance; it offers a i7-8750H processor, 16GB of RAM, a 512GB Solid State Drive, and a dedicated Nvidia 1060 graphics card. And whether you’re playing games at the highest settings or working on a 3D design, the MSI GS65 offers a solid performance. But what makes the GS65 Stealth a great laptop for Fusion 360 is its super thin design: this laptop is only 0.69 inch thick and weighs only 4.14 pounds. The premium matte Black and Golden design is also another plus. 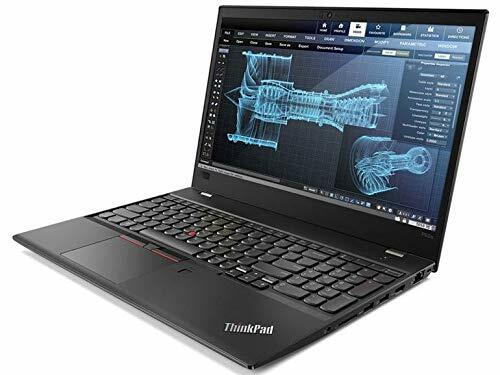 For those of you who are looking for a professional laptop for Fusion 360, the Lenovo ThinkPad P52 is the perfect choice. This laptop comes with a hexacore i7 8750H processor, 32GB of RAM, a 1TB Solid state drive, and a dedicated Nvidia Quadro P1000 graphics card. The P52 is perfect for doing 3D modeling as well as video editing and other similar contact creation tasks. The design of the P52 is similar to other Thinkpads, with a sturdy classic “built to last” chassis, and the keyboard is also very responsive and comfortable. MSI are known for their gaming laptops, but it doesn’t mean that they don’t make professional grade laptops, such as the MSI WS63 8SK-024. This mobile workstation has plenty of power to handle video editing, CAD, 3D modeling and other GPU-intensive applications with no issues. 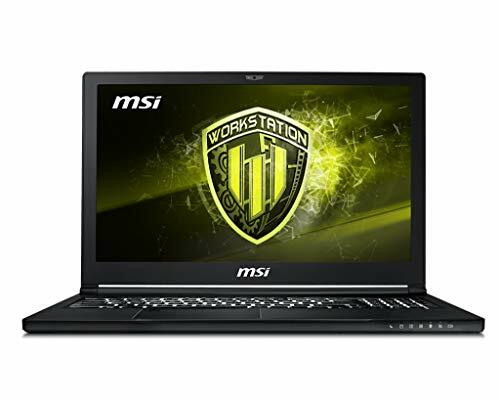 The MSI WS63 comes with an Intel i7-8750H, 16GB of RAM, a dual 256GB solid State drive and a 1TB standard hard drive, and a dedicated Nvidia Quadro P3200. The MSI WS63 also features a FullHD 15,6 inch display, that produces accurate colors and offers good viewing angles. The display is also capable of producing 94% of the NTSC gamut according to the manufacturer, which is a good thing if you’re into photo editing. Another good thing to add about this laptop is the build quality and the overall design of the machine. Although it’s considered a mobile workstation, the MSI WS63 still manages to stay portable, it’s only 0,69 inch thick and only weighs 4,17 Lbs.